Welcome to the home of all VentureOut Healthtech programming! We have been actively supporting Healthtech companies for the last couple of years. Following is an overview of the programs we have run to support companies in Healthtech, the innovative companies that have come through these programs, the mentors and investors we introduced them to, and summaries of the previous programs we have run. 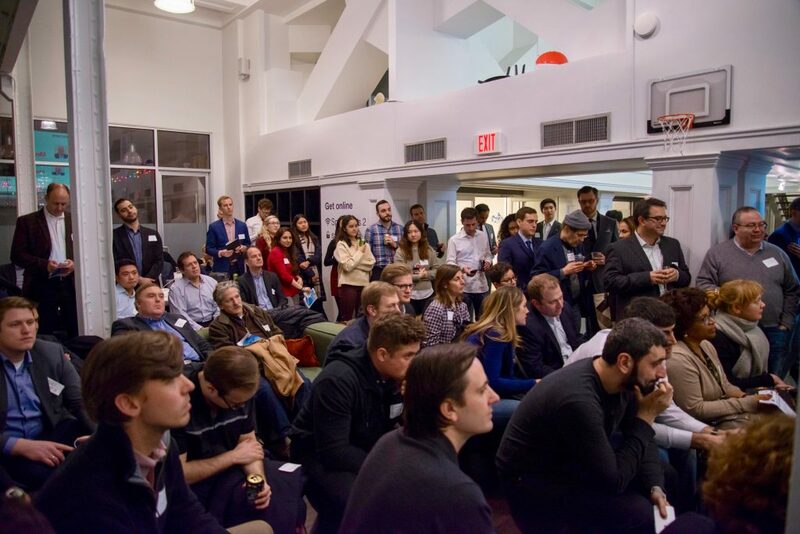 Meet 20 thought leaders, decision makers and investors in Healthtech in NYC in 3 days. Whether innovation officers at top corporates, the most active venture investors or CEOs of the most innovative startups, this program will super charge your network in Healthtech. 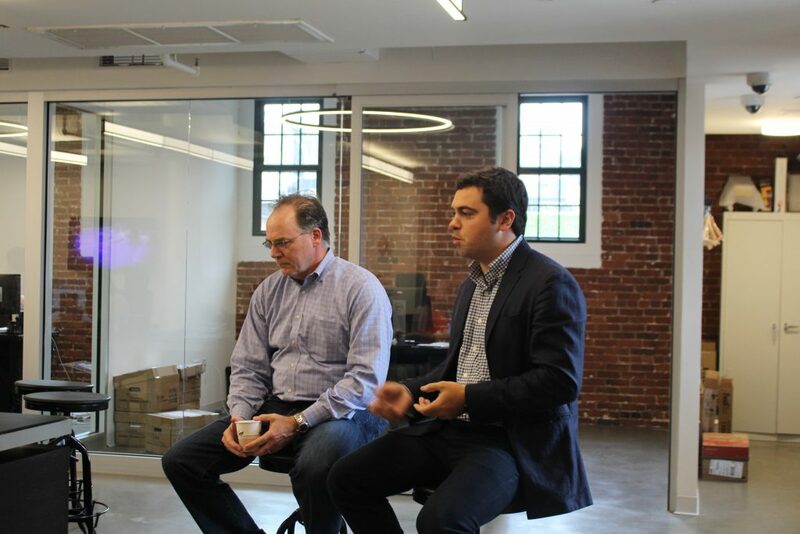 Meet over a dozen tier-1 venture capitalists and angel investors focused on Healthtech. 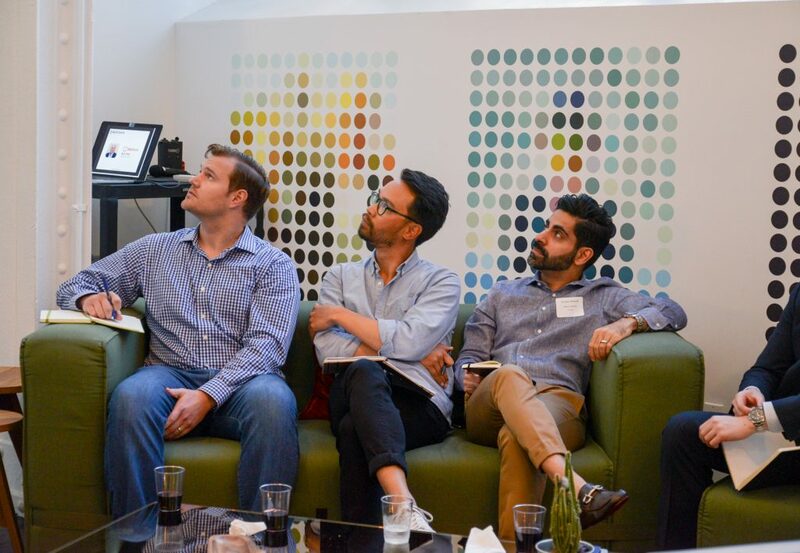 Through VC office visits, one-to-one meetings and our pitch events, you will have the opportunity to learn from and pitch some of the world's leading Healthtech investors. Through one-to-one mentoring and advisory sessions with serial entrepreneurs, investors and industry thought leaders, you will have an opportunity to gain insights and feedback to enable a transformation in your strategy, pitch and messaging. Build an actionable network of mentors and advisors that you can leverage for years to come. Avital Scharf, wellb founder, is on the mic at one of our Healthtech Private Investor Receptions. Mentoring session during one of our HealthTech programs. 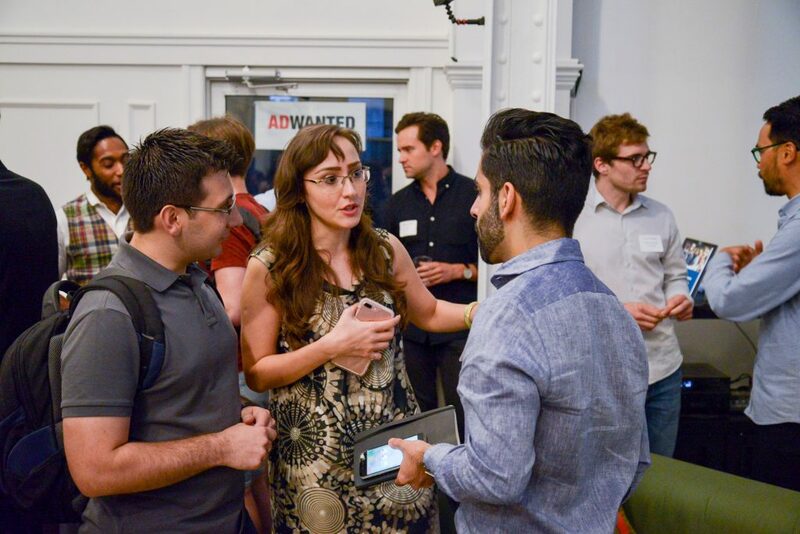 Elnaz Sarabchian, founder of Medaux and part of our August 2017 HealthTech program, talking with investor Imraan Ahmed from Radius Ventures at the end of the pitch night. Full house for our January 2018 HealthTech pitch night! 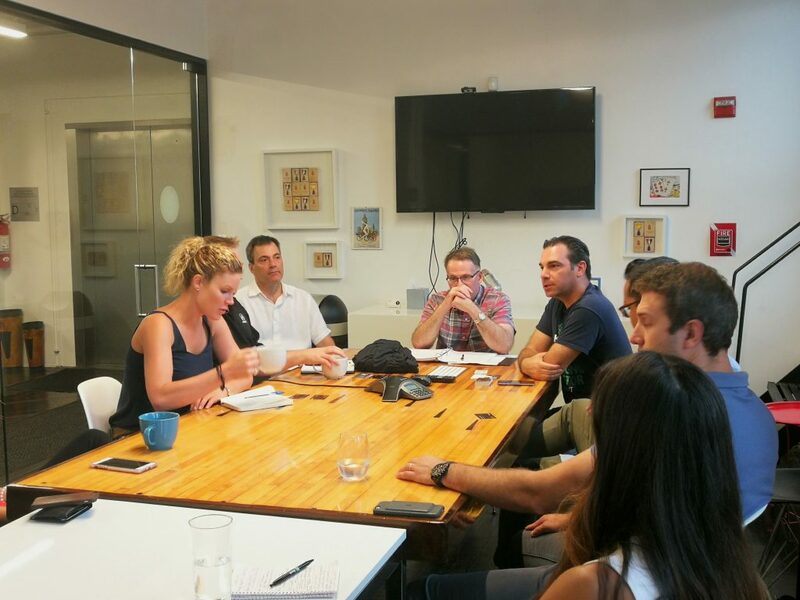 Our HealthTech startups get to meet with Evan Bartlett, Head of Inside Sales at ZocDoc. 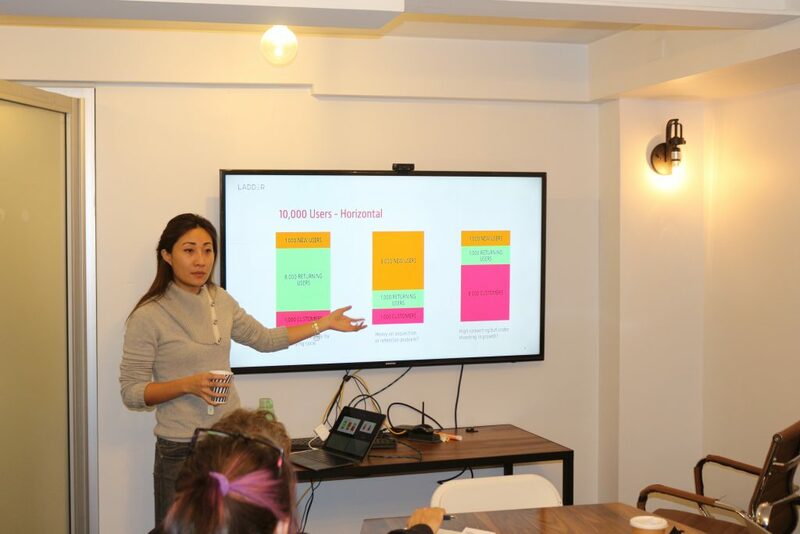 Workshop time for our HealthTech cohort: Ivy Lei from Ladder.io is with them to explain everything about Digital Marketing and Growth Hacking. VentureOut relies on the expertise of our preferred Healthtech partner to help us better understand the industry and to leverage their network of thought leaders in the industry. MedStartr is the Kickstarter for healthcare ideas, companies, and non-profits. That is to say it's also a platform by which anyone and everyone can fund and support healthcare projects, startups, and innovations that improve healthcare and help people live longer, better lives. The VentureOut Healthtech Programs are tremendously impactful because they are built upon the companies that drive the Healthtech ecosystem. Meet the investors, corporate execs, startup founders and other thought leaders that serve as mentors in our Healthtech programs. Lexie Kier is a Principal Strategist and Founder of AOK Group, a growth consultancy for startups. She advises bold brands and startups on fundraising, customer insights, branding and marketing and often takes on interim leadership roles to help with periods of intense change, entry into new markets, and expansion. Previously, Lexie founded Cuurio, an index of startups and innovation platform helping bold brands find clarity, context, and connection. ​Cuurio helped a growing number of innovative brands and agencies (including Warner Brother, Johnson & Johnson, L'Oreal, and J. Walter Thompson) to create vibrant native mobile partnerships that activated consumers in new channels. Eyal is a digital media executive with extensive experience in product leadership, business development and, early-stage capital raising. He sources, manages and cultivates key strategic partnership and M&A endeavors. Before this, Chris was the Managing Director at Infinia Group where he led Infinia Ventures, a practice dedicated to the startup ecosystem. He has done strategy consulting work in brand, digital, and growth strategy for clients like startups, Fortune 500 and the US government. Alex developed a leading healthcare innovation focused crowdfunding site and created a healthcare CrowdChallenge model to help partners and investors crowdsource and market test the best ideas in healthcare. He leads a team of up to 35 professionals in open innovation, product development, and business development programs for clients and sponsors including GE, Pfizer, Takeda, J & J, HHS, Aetna, the American Heart Association, the American Medical Association and over 70 more. Currently sourcing investments for Healthcare ITInteractive MarketingFinTechand Enterprise 2.0. Perform financial analysisdue diligenceand market research for potential investments and portfolio companies. Research legal matters related to venture capital financingprivate equitymergers and acquisitionsinitial public offeringsand spin-offs. Imraan is a Principal with Radius. He is responsible for identifying and executing new investment opportunities and working closely with several Radius portfolio companies as a board observer or designee. 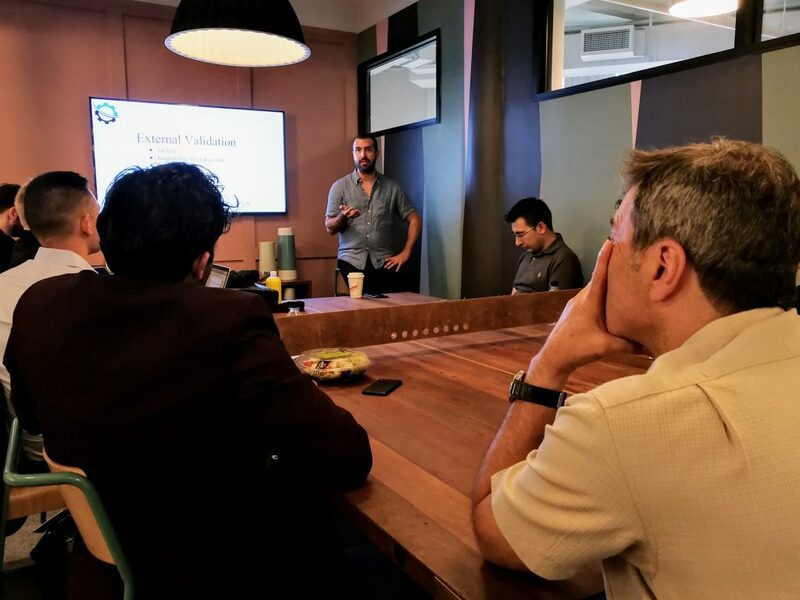 A graduate from Columbia University in the City of New York, Imraan has additionally invested in multiple start-ups, including ACV auctions, HENRY the Dentist, and Maven Clinic. 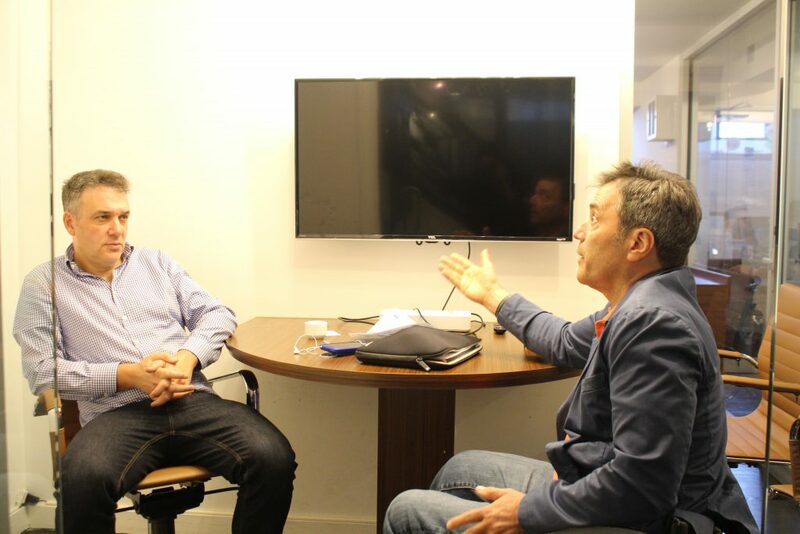 After being an editor at Digital.com, Marcos is now an Executive Council Member at New York Venture Council, with experience at establishing processes and continually improving them. He is an effective Product Management team member, possessing a ‘Figure it out and get it done’ attitude. 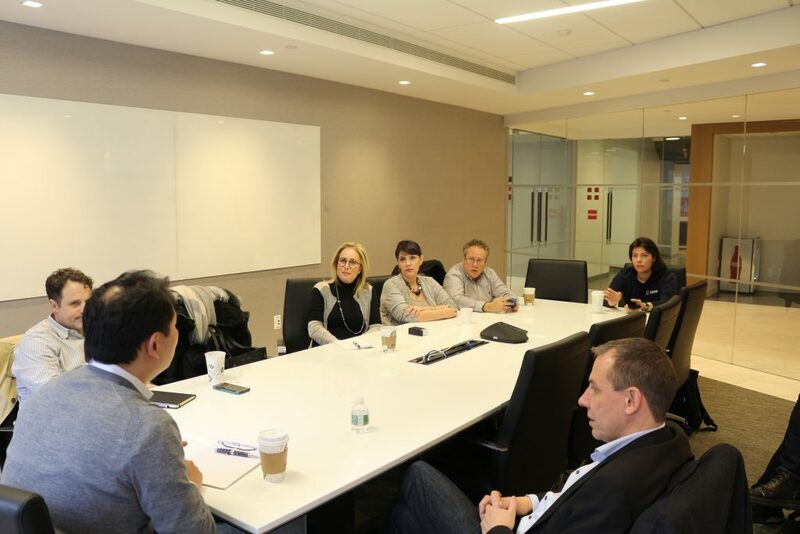 New York Venture Council members are leading NYC-area venture capitalists, family offices, angels, entrepreneurs, universities, media and professional advisors, all dedicated to increasing deal flow and ecosystem cooperation in the world's financial capital. Josh Rochlin was an early pioneer in the New York Internet venture community, founding MyCalendar.com and serving as its CEO before selling it to Sports Huddle in 2001 (now owned by CBS). Josh then led business development and strategy at GoAmerica (GOAM), the first wireless internet service provider (now Purple Communications). Prior to IBM's acquisition of Teckst (formerly Xtify), Josh served as its founding CEO. Prior to joining Teckst, Josh served as the Chief Administrative Officer at Marc Ecko Enterprises, where he oversaw all non-apparel businesses and ventures. David Antokal’s mission is to be a perfect equity partner to small business owners and entrepreneurs through respectful and valuable engagement, building bonds that extend beyond business. His company leads and co-invests in equity investments in growth-ready companies between $5-$50 million of revenue and up to $5 million of EBITDA. They bring to bear a focused group of operating advisors and a supportive network to help make the best decisions for long-term success. Asael Meir is a partner in CohnReznick’s Long Island office and leads the Firm’s Technology and Life Sciences Industry Practice in the Firm's New York offices. With more than 15 years of experience in providing assurance and financial reporting services, Asael serves technology, hospitality, and retail and consumer products companies. He works closely with business owners and management teams of both privately held and publicly listed companies who are seeking guidance on acquisitions, divestitures, and capital formation transactions. Justin is the Vice President of NYCEDC, New York City Economic Development Corporation. NYCEDC consists of teams of skilled and dedicated individuals with know-how and expertise across many fields including community/neighborhood development, workforce development, real estate, industry and sector analysis, design, urban planning, marketing, engineering, financial analysis and more. He graduated from The George Washington University with a B.B.A. in International Business and Marketing. He also graduated N.Y.U. with an M.U.P. Ivy is the Founder and CEO of IvyTL, with a goal to: identify, build, and set-up key tracking analytics and KPIs for publically-traded companies in Hong Kong; draft, refined and finalized public park experiences with New York City Housing Authority and partners; design branding, digital and traditional assets, including website and newspaper ads, for Brooklyn’s largest tutoring center; and establish brand guidelines, advertisements, and value proposition for Bay Ridge’s first dual-language preschool. 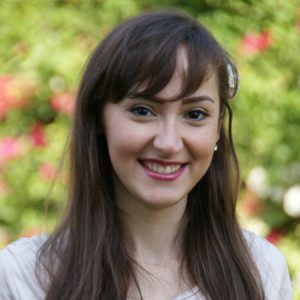 After graduating from Pace University, Ivy has a lot of experience, working at IPG, Gap, and Ladder.io. Ivy also takes part in a lot of service work. Chris Errico is Co-Chair of the firm's US Startup Program and member of the Venture Technology and Emerging Growth Companies practice at Dentons. Chris is actively engaged in a diverse corporate practice, working with a wide range of fast-growing technology, software, digital media and life science companies at every stage of their development. Chris regularly counsels emerging growth companies on transactional matters, including venture capital, seed/angel financings; public and private offerings; asset and stock acquisitions; debt financings and mergers and acquisitions. Chris also advises his clients on a daily basis regarding complex securities matters, corporate governance matters, joint ventures, strategic transactions, and general legal issues. Digital Health Innovator. She has a Masters in Economics, graduated from Institute for Integrative Nutrition and is a serial entrepreneur. In her twenties, she went from top grades to unable to read a book by working as a model to being overweight and medicated like an elderly person. With a constantly changing and ever-expanding array of different diagnoses, Mette took matters into her own hands. Having felt the powerlessness of being an unsolvable case Mette want to help empower others in a similar situation. Nihal noted expert in the emerging adoption of mobile technologies for media properties and consumer brands, has founded five mobile startups and invested in over seventy since 1999. Nihal is a Founding General Partner at Eniac Ventures, the first seed stage venture fund focusing exclusively on mobile technologies. Prior to Eniac, Nihal founded LocalResponseInc., which makes ads more relevant from social signals, a pivot from buzzd, the first mobile real-time city guide. Nihal grew LocalResponse to an eight-digit annual revenue run rate which placed the company to the Forbes 2013 list as #67 of America's Most Promising Companies and #568 on the 2013 Inc. 5000's Fastest Growing Companies. Prior to LocalResponse, Nihal founded ipsh!, one of the first full-service mobile marketing agencies in 2001, which was acquired by Omnicom (NYSE: OMC) in 2005. Nihal's investment portfolio includes Admob (sold to Google), Airbnb, HotelTonight, Swiftkey, Tapad, and Uber. 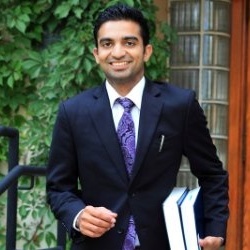 Nihal graduated from the University of Pennsylvania with a BA in Philosophy and a BSE in Computer Science. Andrew is a recovering consultant turned serial entrepreneur startup mentor and angel investor. The Managing Director for DreamIt’s New York program, Andrew is also a contributing writer to AlleyWatch.com. In a previous life, Andrew led Bunk1.com as COO/Head of Product where he built it from scratch to the leading provider of web services to the summer camp industry. In 2008, Andrew moved on to manage a family office where he was responsible for both incubating new ventures and for managing over $50M of alternative assets including hedge, private equity, and venture capital funds. Harry is the Vice President of Finance for Bowery Valuation. Their goal is to redefine the commercial appraisal space through big data, advanced technology, and extensive expertise. Their proprietary platform allows their appraisers to work smarter and faster, which means we can deliver unparalleled accuracy and consistency, in a fraction of the time. Previously, Harry was an associate at ff Venture Capital in 2016, where he was associate-managing the Due Diligence team. He primarily conducted analyses of new and follow-on investments, coordinated deal flow processes, helped source new deals, and worked closely with the AI NexusLab. Chip is the Co-Founder and Director of Engineering at Collectively, helping startups design, build, and grow their technology. His goal is to bring mission-driven tech startups from idea to market by helping entrepreneurs plan, brand, design, and build their product. He runs a studio filled with amazing designers, user experience experts, and engineers: all working together to challenge entrepreneurs and help them build technology that matters. 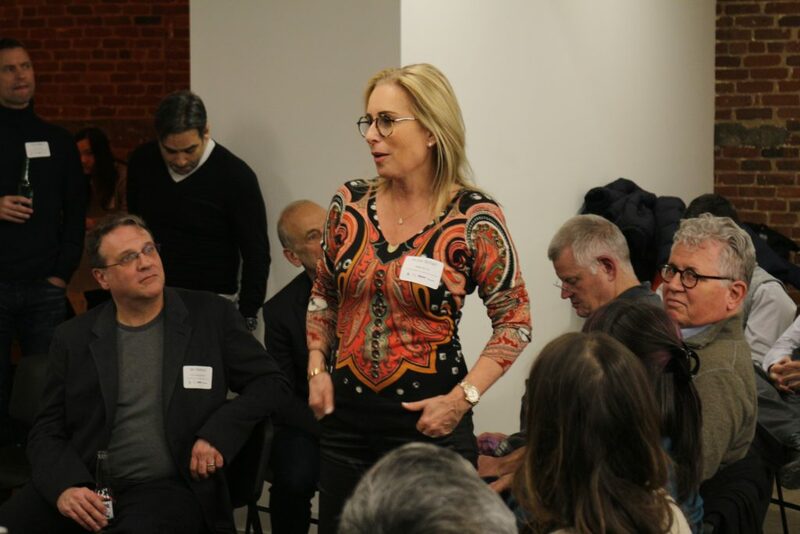 Deb Berman is a Principal at Skaled, a consulting and training company which helps companies to optimize their people, processes, and technology to accelerate business growth for scaling success. As a leader, Deb has led high-performance Sales, Account Management and Success Management teams specializing in building out repeatable, scalable processes. Sandra Creamer has spent her career focused on business transformation. Working in technology for companies including Accenture and Oracle, and then on branding and innovation for beauty and consumer products at Procter & Gamble, and consulting firms such as CBX and Fahrenheit 212, part of Capgemini Consulting, Sandra has helped businesses tackle challenges and changes to help companies stay ahead of evolving behaviors, trends, and preferences. Sam Newbold has been supporting VentureOut companies to secure US visas since 2013. He is experienced in a wide range of employment based, family based, and investment based immigration issues, working closely with the global startup and tech communities, representing cutting edge companies and talented individuals who comprise New York’s rapidly growing Silicon Alley. Mr. Newbold also works closely with foreign investors seeking nonimmigrant or immigrant status through EB5 or E-2 investments, and he is also experienced in helping foreign business owners receive L visa status through establishing New Offices in the United States. Dr. Richard Park is board-certified in emergency medicine and completed his medical studies at Albert Einstein College of Medicine in New York. Dr. Park is the author and co-editor-in-chief of McGraw-Hill’s Intensive Review of Emergency Medicine. His unparalleled education combined with his vision for delivering highly accessible, top-quality medical care has made CityMD the top urgent care in the NY metro area. Dr. Park lives on Long Island with his wife and two children. Gartner, Inc. is an American research and advisory firm providing information technology-related insight for IT and other business leaders located across the world. Its headquarters are in Stamford, Connecticut, United States. Frank is also the former CIO of St Peter’s Healthcare System and was rated Top 100 CIO’s in 2015. Ben is the President of Digital Communications at West Corporation. They are dedicated to delivering and improving upon new channels, new capabilities and new choices for how businesses and consumers collaborate, connect and transact. They operate at the scale and speed necessary to capitalize on the promise of emerging technologies and the advantages they will provide. Prior, Ben was the host for HealthTech Talk Live, which broadcasts live weekly on iHeart Radio/Clear Channel nationwide. He would interview front-page emerging health tech innovators and titans about the latest in digital health technology, human ingenuity, biotech medical advancements and health tech capital market trends. Michael is an expert healthcare innovator and experienced entrepreneur. As CEO, Michael raised three rounds of venture funding and secured health plan partnerships to cover over 30 million people. Graduated from Yale and Harvard Business School, Gil co-founded RubiconMD, an innovative eConsult service that connects providers to same-day insights from top specialists. Walter Olshanski works in the New York office of PwC Corporate Finance LLC, and covers the Healthcare sector with emphasis on payers and providers. Prior to joining PwC, Walter was a senior investment banker at KeyBanc Capital Markets Inc providing M&A, strategic advisory, valuation, and financing options services to the healthcare services sector. 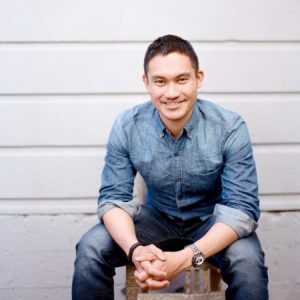 Michael is the Co-Founder of 7 technology-based companies that improve business productivity. His latest, a next-generation orchestration software company, orchestrates how people and systems work together, and privately share workflows & information with all participants. Jenyta synchronizing how people, processes, and systems seamlessly work together in the digital workplace and across networks of organizations. This helps people get more accomplished, with less effort, with more control, and lower costs. Jonathan Gordon is Director of NYP Ventures, the strategic venture capital arm of NewYork-Presbyterian, where, he is responsible for managing the hospital’s venture investment fund, building strategic partnerships and managing the hospital’s IP portfolio. 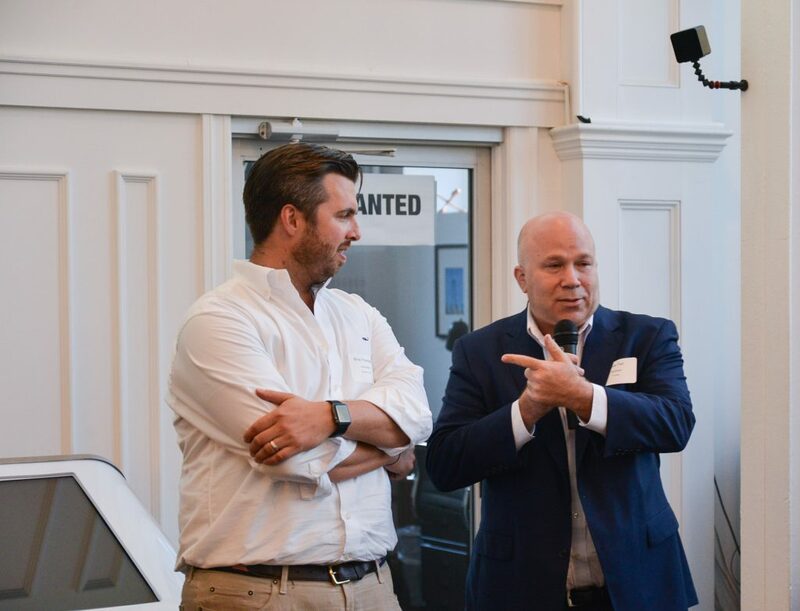 As a Director on the Oxeon Ventures Fund team, David focuses on a broad range of activities, including leading the sourcing and diligence efforts of Oxeon’s strategic venture fund, as well as managing Oxeon’s portfolio of more than 50 investments. David is a passionate advocate for healthcare entrepreneurs and an active member of the startup ecosystem in New York City. Prior to joining Dreamit, Adam has held various senior management roles in sales, marketing, product development, clinical affairs, operations, and general management. His career has focused exclusively on building early stage venture-backed health tech companies. He has co-founded five health technology companies which have raised over $60M in early-stage capital. VentureOut has featured some of the most innovative technology companies in Healthtech. Learn about all of the incredible companies that came through our Healthtech programs. MedAux is an HIPAA compliant patient education and messaging system among physicians, patients, and PAs. MedAux enables physicians to send daily patient education materials including videos, images, and files to their patients via a secure messaging platform. We also provide physicians a database of research driven patient education materials presented in patient-friendly videos. Physicians can also record their own videos to answer common patient questions. Ellie is filled with information verified by experienced lactation consultants. You have enough on your mind caring for your newborn without searching for breastfeeding resources. Ellie is available 24/7 through Facebook messenger to help identify and treat common breastfeeding challenges. Simpleshow was founded in 2008 and has since risen to become the market leader for explainer videos. Now headquartered in Luxembourg, the company has international offices in Berlin, Stuttgart, London, Miami, Hong Kong, Singapore and Tokyo to serve customers from more than 50 countries. simpleshow reduces the complexity of topics by developing innovative and creative solutions for communication and education. In 2016, the company launched the online video creator mysimpleshow - a software that allows users to create their own simpleshow videos. We’re a sales learning app that helps you launch products more successfully and quickly by getting your reps to deliver your sales and marketing messages more consistently in the field so that they’re having more effective conversations with buyers. Mission 360 is a highly curated, multidimensional community dedicated to empowering those seeking a stronger body, enriched spirit and expanded mind. LIFT launched in early 2015 with the goal of making top fitness coaching accessible to anyone. Through its critically acclaimed live online LIFT sessions, LIFT enable anyone access to customized fitness training, from any location and on-demand. Its members enjoy the most efficient, challenging, fun and safe fitness programs built for their needs, whether training for a competition, preparing for an event like a wedding, looking to shed a few pounds before summer time, or just looking to de-stress from work. The KnKt’d Health platform (App/Encrpted cloud database/Provider Portal) is designed to capture daily patient data, cultivate engagement and track clinical outcomes. Each colored square in the provider portal is an individual tracking module bringing in real-time data, graded on a Likert scale and color coded for quick and easy visual digestion. HIPAA compliant, EHR bridgeable, intuitive, easy to use and infinitely scalable. Welltory is an app that uses data & science to help people boost their performance today and feel better tomorrow without long-term wellness programs. Users run health checks with their smartphone & finger. Then, it connects this data with data from gadgets, smart home, and work apps to generate daily recommendations that yield immediate results. Provia Labs is an FDA regulated cGMP cell manufacturing company focused on applications in personalized medicine. Its first offering (Store-A-Tooth™) is the collection, processing, and preservation of valuable stem cells found within children's healthy teeth (baby and wisdom) for the child’s future use. It invested millions into infrastructure to process these cells in compliance with FDA guidelines for cell manufacturing. Anthony Sterns founded iRxReminder after 10-years of research on caring for people living with dementia. People lose their independence due to failing to take their medications correctly, and healthcare professionals are disconnected from what their patients are experiencing and cannot share their expertise and help. iRxReminder's core purpose is to empower patients and healthcare professionals to manage medications together, to achieve high adherence, lower ER visits, and improve health outcomes. Valkee Ltd. is private health technology company found in 2007. Valkee studies health benefits of light, and develops and markets portable bright light therapy devices for treating seasonal affective disorder (SAD), and for accelerated recovery from jet lag. LeanOnWe is a uniquely designed managed marketplace to address the needs of the wildly underserved hire-on-your-own market. Consumers are stuck between a rock (costly home care agencies) and a hard place (hiring privately with no safety net). Bridging the gap between what customers want from a traditional home care agency but love when hiring privately, LeanOnWe is successfully helping families slash their costs and control who comes into their home. Our mission is to help people identify the root causes for their problems and inspire them to change the specific habits to reverse their symptoms. We call it Data Driven Coaching, and it's an innovative new way to use technology to effectively subdue the illness through behavioral change.